Most people know iTunes from its lengthy and celebrated tenure as the best music app in existence. Its heyday in the mid-to-late aughts was star-studded and widely praised, a magical time for simple yet profoundly innovative software. But I knew iTunes as a friend, a confidante who enabled my often relentless music addiction in productive ways, carrying me through hard times with an iconic interface and dependable elegance. For many years, I couldn’t imagine life without iTunes. Now I must. I met iTunes in college, circa 2003. It was my first friend. At the time, the icon featured a purple double note on top of a CD, and we bonded during late night explorations of torrid indie rock. From the time I bought my first MacBook—which came with a free iPod—iTunes was the one program that I always kept open, always turned to for help. iTunes was easy. A decade ago, it felt like magic when you’d insert a CD, and iTunes would dutifully fetch all of the album information, collating your music collection into handy categories while still enabling you to create your own. This taxonomy carried over beautifully to the spartan design of the iPod. During its youth, people praised iTunes for changing the way we consume music. In its adolescence, the iTunes Store transformed the music industry, then TV and movies. The double note changed colors from purple to green to blue. 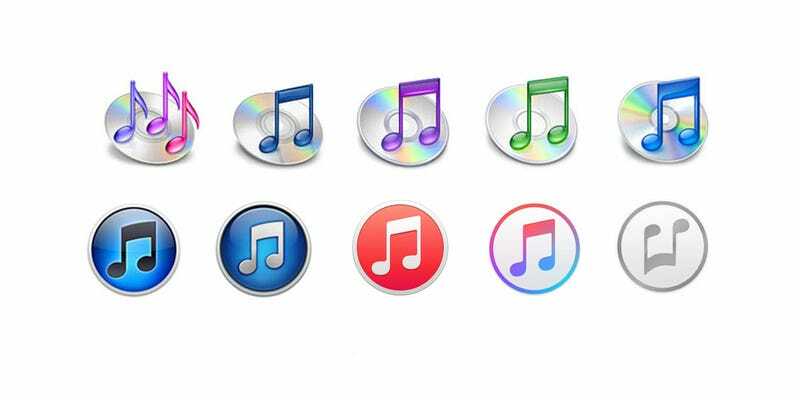 Steve Jobs dropped the CD from the icon when iTunes 10 arrived in 2010, as a nod to the dominance of digital music. That year saw the arrival of another iTunes service: the fated social network Ping. Ping died two years later, but the iTunes Store thrived. As the iTunes Store became increasingly central to the iTunes experience over the years, our relationship became more difficult. It felt like iTunes always wanted to sell me something new. It felt like iTunes was losing touch with its roots in elegant simplicity. I clung to iTunes, though, even when things felt too complicated. Maybe it was a sense of familiarity. Maybe it was a delusion of loyalty. Inevitably, enjoying iTunes would prove to be a futile effort in the era of streaming music services. Around the time of Ping’s death, I drifted to streaming music services and eventually settled into a blissful relationship with the best of them, Spotify. Millions of iTunes’ friends did. So after years of development, iTunes tried to spawn a streaming service of its own, one that would win old iTunes fans like me back. It was swift and relatively painless. On June 30, 2015, iTunes gave birth to Apple Music, a much-awaited and disappointing pay-to-play streaming service. By this time, iTunes was in poor health, due to the viral popularity of streaming music services. Apple Music, I thought, would bring new life to the tired program. I was wrong. At first, I welcomed Apple Music’s arrival to the world, realizing that it could make or break iTunes. I hoped iTunes would feel young again, fun again. But the opposite proved true. A few weeks after Apple Music was born, it was apparent that it couldn’t save the addled iTunes. Apple Music betrayed my elemental trust in iTunes, too. It discombobulated my music library, confusing it with what I owned owned and the music Apple Music promised me—and for a fee! Dalrymple also experienced how Apple Music duplicated tracks that he owned, dismantling his own carefully curated library of music on his hard drive and shoving him in the direction of the iTunes Music Store. Apple Music wasn’t the application’s savior. It became its downfall. The reason for this is simple: iTunes always promised us simplicity. Apple Music made iTunes unbearably complicated. Even the basic things that iTunes always did well—really elementary things like making it easy to organize large amounts of music—don’t work in congress with Apple Music. Artists and albums seem to exist in two places, my iTunes Library and separate, gated community that is Apple Music. I can’t help but feel nostalgic for the simple, elegant iTunes I knew in college. It put up a fight, but the iTunes desktop application is dead to me now. It is survived by Music, the iOS app that was once known as iPod. Apple Music, the heir apparent, will live within Music for the foreseeable future, and I’ll visit occasionally. Despite its trouble and its patricide, I like Apple Music in the simplified mobile format. Like its parent once did, the mobile version of Apple Music somehow encourages me to do less work. It’s easier to navigate without iTunes present, and I sincerely feel like Apple’s magical music editors did a great job of building playlists that appeal to me, based on a 10-second process that asked me about my tastes. Apple Music is probably going to work well in a car, where a more radio-like experience equals a safer experience. Apple Music could have a bright future, so long as it studies hard and listens to its users. But iTunes is over. RIP. Apple Music isn’t bad on iPhone. But without a tab for Playlists—among other gripes—it’s still not as good as Spotify. Those of us that loved iTunes feel sad. The ghost of iTunes app will live on as a basically competent media player. (Though honestly, I now use Spotify to play all of my local music files too.) Other than that, it’s just a record store on your computer, complete with free listening stations disguised as Apple Music’s free trial. iTunes’ title as the world’s greatest digital music app must be surrendered. Here’s hoping Apple Music will grow up to be big and strong in the shadow of the legacy that iTunes leaves behind.